Australia's Most Awarded Mercedes-Benz Retailer proudly presents this exceptionally low kilometre 2018 Built & Complied C300 Coupe featuring Fully-Factory-Backed Warranty right through to July 2023! 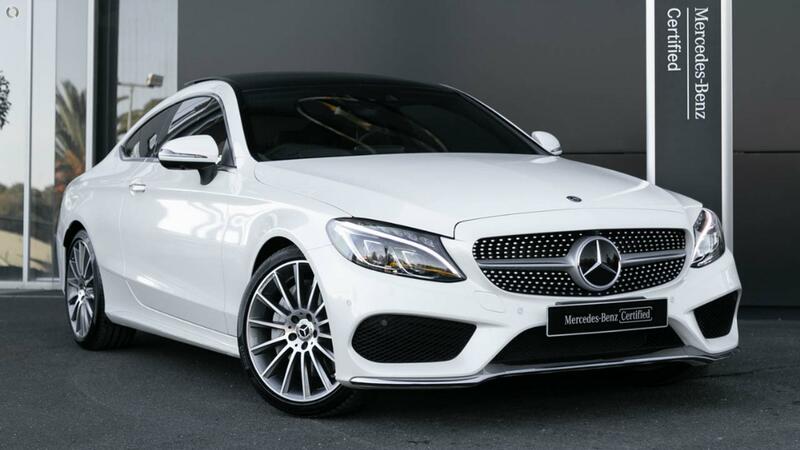 Very highly specified and stunning in designo Diamond White BRIGHT Metallic with Heated Front Seats, AIRMATIC Dynamic Handling Package, Vision Package with Head-Up Display, Panoramic Glass Sunroof, AMG Bodystyling, AMG 19" Light Alloy Wheels and Sports ext system to round out the perfect specification. Take the wheel of your gorgeous C300 Coupe with absolute confidence - ONLY from a Certified Mercedes-Benz expert and the reigning Mercedes-Benz Metropolitan Retailer of the Year" again, for the 5th time in 6 years! *PLEASE NOTE: The build date may not be accurate as vehicles advertised in Victoria are sold based upon on the year of Compliance - please check with your consultant to confirm build date. Vehicle Features and Options listed in this advertisement are automatically supplied by Redbook for this Make/Model and are not specific to this vehicle. Please confirm Options with Selling Dealer.